Yeah, hello lovelies! I've been a stranger here. Two kids at home equals lots of busy! We're loving the warm weather, the lack of schedules and the lots of outdoor time but I've missed my little space and you guys. Anyways, although school is 3 long short weeks away, I thought I'd check in to share back to school essentials for Working it Wednesday with Shay and Erica as well as 10 things with Erin (a day early). Our Canadian schools provide the basic school supplies for our kids like pencils, paper and stationary so that's a huge help. I do try however to get some good supplies for home here for when we do work at home or if C wants to take a few to school. I love a good first day of school sign and I got this one a couple years back! I can't seem to find mine but this one is similar. 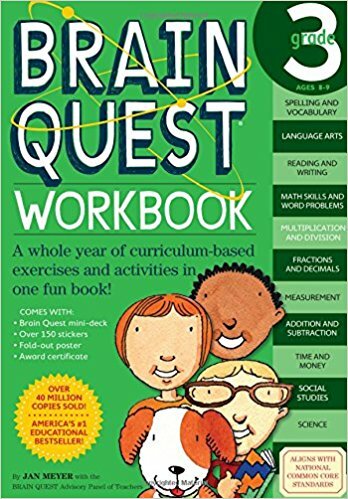 Curriculum books and Brain Quest books are awesome for work at home after school or taking to an extra curricular activity for the unoccupied kid. 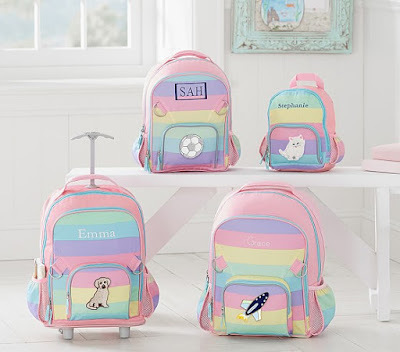 PBK back packs are our very favourites. 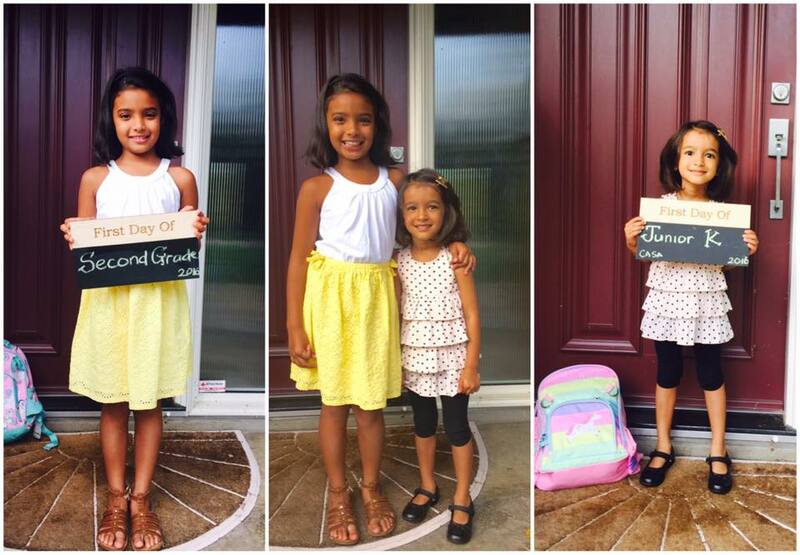 C is onto her third year with hers and A on her 2nd. They're still going strong. I just throw them in the wash a couple times a year and they are as good as new! 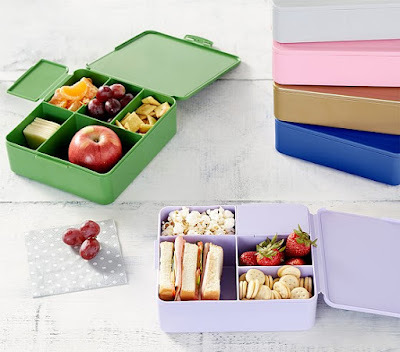 These bento box containers are awesome for the bigger kids and these for the smaller ones. I got a couple each. I've started packing my kids' lunches the day before when I'm doing dinner prep #lifechanging. This year, I splurged and bought these insulated water bottles as well from PBK as let's face it, the ones from Costco are cheaper.The kids love the spout. Sidenote, I wait for a sale and free shipping with the PBK stuff to order it. I really need an electric sharpener for the pencils. It's insane how the regular sharpeners have been eating our pencils!! 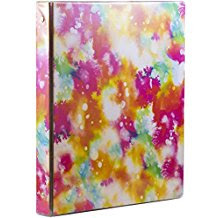 These cheap, fun binders available everywhere, are wonderful for keeping loose papers at bay and C's planner undamaged. A cute pencil case is always a good idea to keep a few cute supplies for the little ones. And clothes-- too much to mention but around this time I start looking for fall clothes for the girls. I wait for a huge sale from Gap and Old Navy and get a bunch of tops, dresses and some light fall outer wear for the little ones. 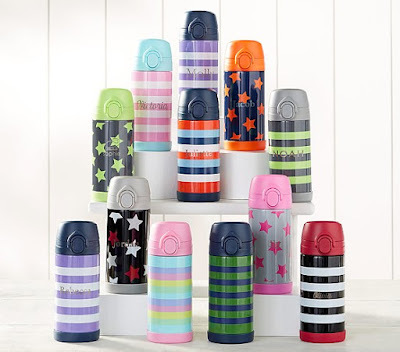 What's on your must have list for school? Did I miss anything? Water bottles are a must. My kids love them. We get our backpacks from Pottery Barn as well and they last forever. I hope you have a great time going back to school. Love how much they provide for the kiddos already in terms of school supplies. If Canada wasn't so cold in the winter, I'd be serious about moving up there. Free healthcare, 1 year maternity leave, and school supplies. Win-win-win! I'm starting to miss my me time too...also, ordering those bento boxes right away- they are exactly what I've been looking for. I think I need to upgrade the kids waterbottles. We still use the Target ones that are super short and they are gone with one long sip. And they leak like no other, grrr...I heard the PBK ones are pretty good. You totally need an electric sharpener. 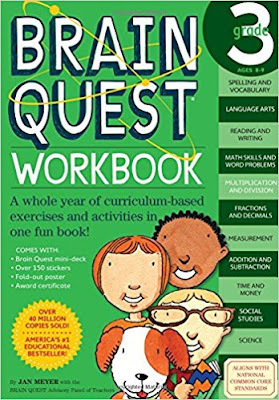 I bought one off Amazon a year or two ago and it changed my life. Okay, exaggerating a little, but get one!!! I love all things Pottery Barn! Those backpacks and water bottles look so nice! I feel like I might need some new boxes for the kids' lunches! 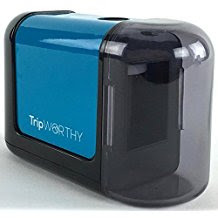 We love our electric sharpener. Also, I noticed your lack of posts!